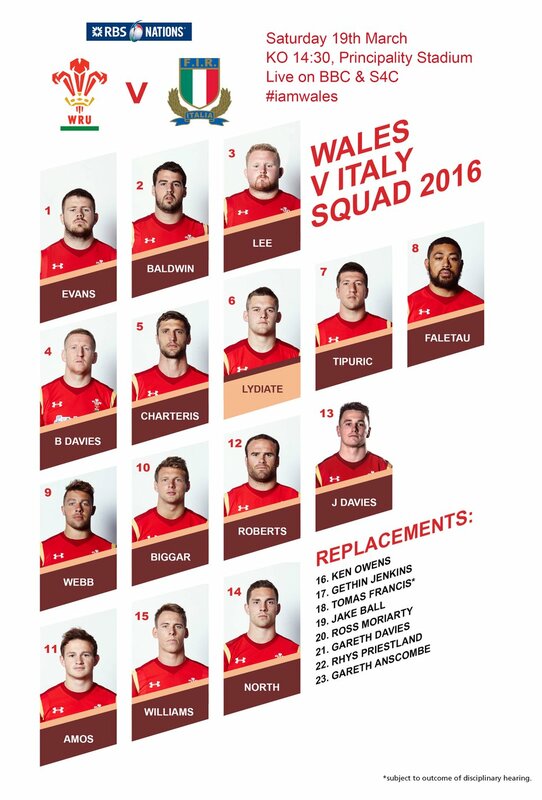 Wales head coach Warren Gatland says that his selection for the final clash of the 6 Nations against Italy is an opportunity for some players to redeem themselves after Saturday's loss to England. "This weekend it is all about finishing off the tournament well and putting in a big performance,” said Wales Head Coach Warren Gatland. "We are disappointed with last week, especially the first half but a win on Saturday will see us finish the tournament in second and we have to aim for that now. "There are a number of changes, a couple injury enforced. Alun Wyn Jones has a foot problem that we have been managing for a while and he has played a lot of games. We have given Sam Warburton the week off, we decided not to push him through all the return to play protocols and we have also been managing a heel injury with Alex (Cuthbert) so Hallam comes on to the left wing. "It's good to see Rhys (Webb) back and starting, it's a good opportunity for him. "Saturday is a good chance for some of the players to redeem themselves and we are looking for a big performance.